The fact that Goldberg never looked over her monthly credit card statements, and that she hadn’t noticed this theft and fraud, proves that she is economically illiterate. And it’s that same economic illiteracy that causes Goldberg to support the Green New Deal. Even the supporters of the Green New Deal admit that they don’t know where the money to pay for it is going to come from. TAPPER: Your platform has called for various new programs, including Medicare for all, housing as a federal right, a federal jobs guarantee, tuition-free public college, canceling all student loan debt. According to nonpartisan and left-leaning studies friendly to your cause, including the Center on Budget and Policy Priorities or the Tax Policy Center, the overall price tag is more than $40 trillion in the next decade. You recently said in an interview that increasing taxes on the very wealthy, plus an increased corporate tax rate, would make $2 trillion over the next 10 years. So, where is the other $38 trillion going to come from? OCASIO-CORTEZ: Well, one of the things that we need to realize when we look at something like Medicare for all, Medicare for all would save the American people a very large amount of money. And what we see as well is that these systems are not just pie in the sky. They are — many of them are accomplished by every modern, civilized democracy in the Western world. The United — the United Kingdom has a form of single-payer health care, Canada, France, Germany. What we need to realize is that these investments are better and they are good for our future. These are generational investments, so that not just — they’re not short-term Band-Aids, but they are really profound decisions about who we want to be as a nation and as — and how we want to act, as the wealthiest nation in the history of the world. TAPPER: Right. Now, I get that, but the price tag for everything that you have laid out in your campaign is $40 trillion over the next 10 years. I understand that Medicare for all would cost more to some wealthier people and to the government and to taxpayers, while also reducing individual health care expenditures. But I’m talking about the overall package. You say it’s not pie in the sky, but $40 trillion is quite a bit of money. And the taxes that you talked about raising to pay for this, to pay for your agenda, only count for two. And I — we’re going by left-leaning analysts. Well, when you look again at, again, how our health care works, currently, we pay — much of these costs go into the private sector. So what we see is, for example, a year ago, I was working downtown in a restaurant. I went around and I asked, how many of you folks have health insurance? Not a single person did, because these — they were paying — they would have had to pay $200 a month for — for a payment for insurance that had an $8,000 deductible. OCASIO-CORTEZ: What these represent are lower costs overall for these programs. And, additionally, what this is, is a broader agenda. We do know and we acknowledge that there are political realities. They don’t always happen with just the wave of a wand. But we can work to make these things happen. And, in fact, when we — when you look at the economic activity that it spurs, for example, if you look at my generation, millennials, the amount of economic activity that we do not engage, the fact that we delay purchasing homes, that we don’t participate in the economy and purchasing cars, et cetera, as fully as possible, is a cost. It is an externality, if you will, of unprecedented — unprecedented amount of student loan debt. TAPPER: So, I’m assuming I’m not going to get an answer for the other $38 trillion. So that’s the relevant part of the conversation between Ocasio-Cortez and CNN correspondent Jake Tapper. Supporters of the $40 trillion Green New Deal have already said where $2 trillion of its price will come from. But when Tapper repeatedly asked Ocasio-Cortez where the other $38 trillion was gong to come from, she repeatedly refused to answer him. Perhaps Ocasio-Cortez could charge that $38 trillion to Michelle Goldberg’s credit card. April 7, 2019. 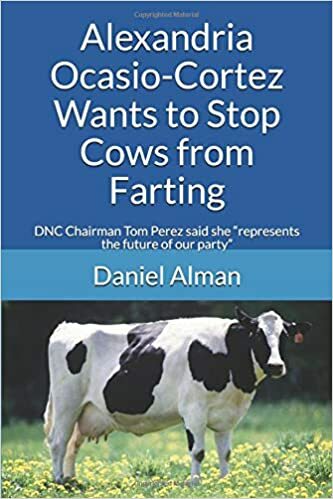 Tags: $38 trillion, $40 trillion, Alexandra Ocasio-Cortez, Climate change, economic illiteracy, Economics, Global warming, Green New Deal, I'm assuming I'm not going to get an answer for the other $38 trillion, Jake Tapper, Michelle Goldberg. Alexandria Ocasio-Cortez, Economics. Leave a comment. The Atlantic: Is This the End of Recycling? For decades, we were sending the bulk of our recycling to China – tons and tons of it, sent over on ships to be made into goods such as shoes and bags and new plastic products. But last year, the country restricted imports of certain recyclables, including mixed paper—magazines, office paper, junk mail—and most plastics. Waste-management companies across the country are telling towns, cities, and counties that there is no longer a market for their recycling. These municipalities have two choices: pay much higher rates to get rid of recycling, or throw it all away. March 6, 2019. Tags: Economics, Environmentalism, Garbage, Is This the End of Recycling?, Politics, Recycling, recycling fraud, The Atlantic. Environmentalism. Leave a comment. March 6, 2019. Tags: Economics, Environmentalism, Garbage, Landfills, News, Politics, Recycling, recycling fraud, Videos. Environmentalism. Leave a comment. December 7, 2018. Tags: Clothing, Economics, Humor, Palessi, Payless, shoes. Clothing, Economics, Humor. Leave a comment. California requires people to recycle their empty bottles. However, this recent news article from the Merced Sun-Star says that three people have been charged with “recycling fraud” in California, because the bottles they recycled were “smuggled” into California from Arizona. The bottles from both states are physically identical to each other, but the price paid for the bottles is higher in California than in Arizona. What that guy in the video did is 100% legal. But for some strange reason, the people who sold bottles from Arizona in California were breaking the law. It’s completely ridiculous that this is illegal. The people who bought Monopoly for Millennials from that guy in the video don’t care where it came from. As long they get what they paid for, they are happy. But for some weird reason, politicians seem to think that there is some inherent difference between bottles from California and bottles from Arizona. In the real world, the only difference is the price. There is no physical difference between the bottles. If recycling bottles was truly a good idea, then California would be happy to recycle bottles from Arizona, just like the customers who bought Monopoly for Millennials from that guy in the video were happy to buy what they bought. If the item in question is truly valuable, then the buyer won’t care where it came from. Therefore, for California to mandate bottle recycling in some cases, while outlawing it in other cases – even though the bottles involved in both cases are physically identical to each other – is absurd. December 5, 2018. Tags: Amaury Avila-Medina, Anthony Sanchez, arbitrage, Bustillos’ Trucking, California, CalRecycle, Economics, Environmentalism, Miguel Bustillos, Monopoly for Millennials, Politics, Recycling, recycling fraud, Seinfeld, The Bottle Deposit. Economics, Environmentalism. 1 comment. The paperback version of my book “The Maduro Diet” is amazon’s #1 New Release in Venezuelan History. October 30, 2018. Tags: Books, Communism, Economics, Hugo Chavez, nicholas maduro, Venezuela. Books, Communism, Economics, Venezuela. 2 comments. The New York Times reports that Alexandria Ocasio-Cortez has banned the media from two of her town hall meetings. I think Jacob’s question is an excellent one. I’d also like to point out that all of the other Congressional districts also have constituents who are “victims of domestic violence” and who have “personal medical issues,” but that the Congressional representatives and candidates of those other districts haven’t banned the media from their town hall events. In the video below, YouTuber Styxhexenhammer666 says that one possible reason for Ocasio-Cortez’s media ban is that any illegal aliens in attendance would – justifiably – worry about being filmed by the media. However, he then goes on to say that Ocasio-Cortez could ask the media to keep their cameras focused on her and not the audience, and that they would likely comply. Styxhexenhammer666 then goes on to say that he thinks her real reason for banning the media is that there might be a constituent in attendance who asks her a tough question about economics that she can’t answer. Specifically, he says that she doesn’t seem to understand that the only reason that democratic socialism in countries like Norway works is because there is a strong, healthy private sector to pay the taxes to fund it. Take away that strong, healthy private sector, and your country ends up like Venezuela. August 18, 2018. Tags: Alexandria Ocasio-Cortez, Alexandria Ocasio-Cortez Criticized for Excluding Press From 2 Town Hall Meetings, bans, Ben Jacobs, Democratic socialism, Economics, Guardian, media, meetings, New York Times, Politics, reporters, Socialism, Styxhexenhammer666, town hall, Twitter, Venezuela. Alexandria Ocasio-Cortez, Economics, Venezuela. Leave a comment.